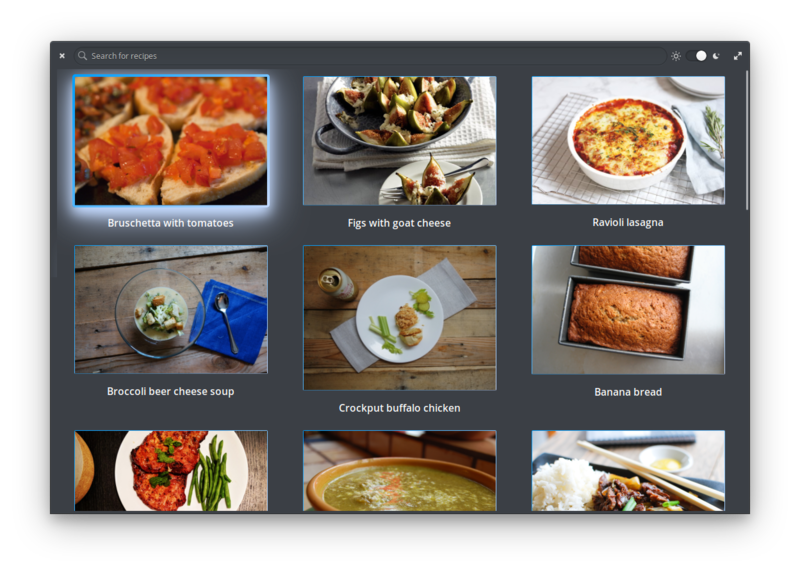 Do some cooking with some easy recipes. 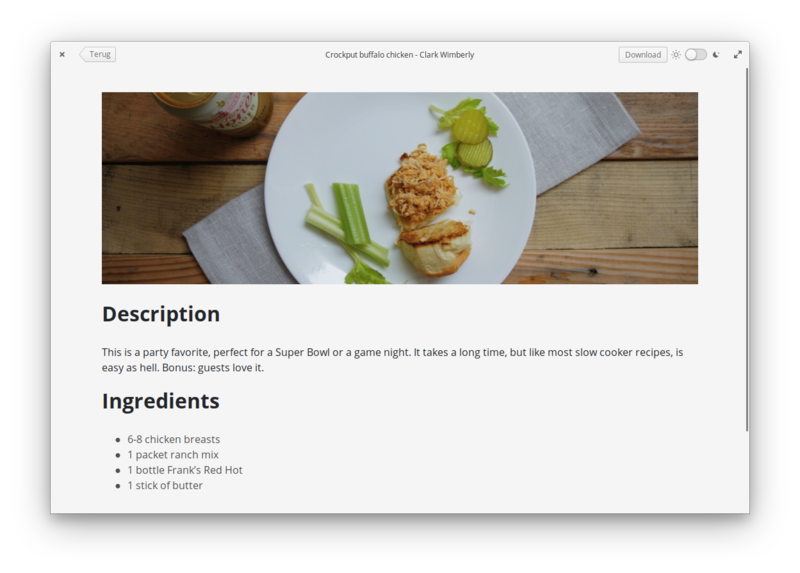 All the recipes are written in simple markdown. Don&apos;t see what you like? Add your own! 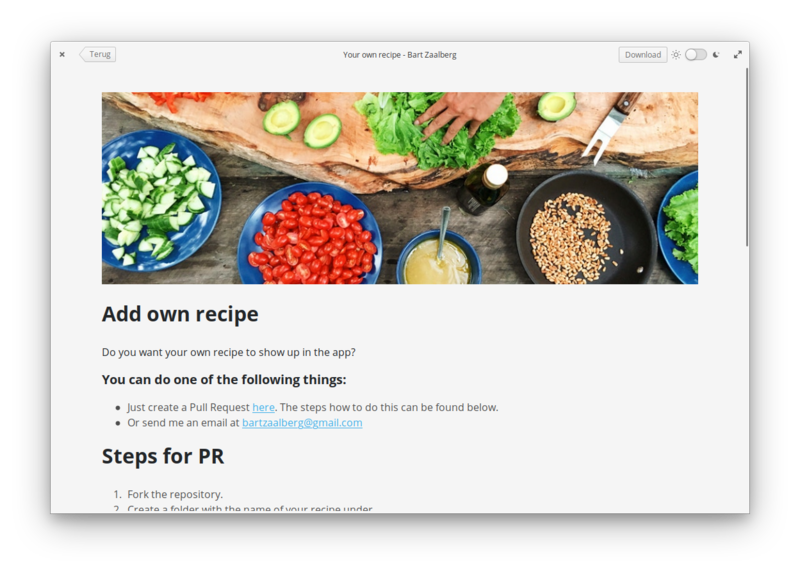 Get Recipes and more on elementary AppCenter, the open, pay-what-you-want app store for indie developers. 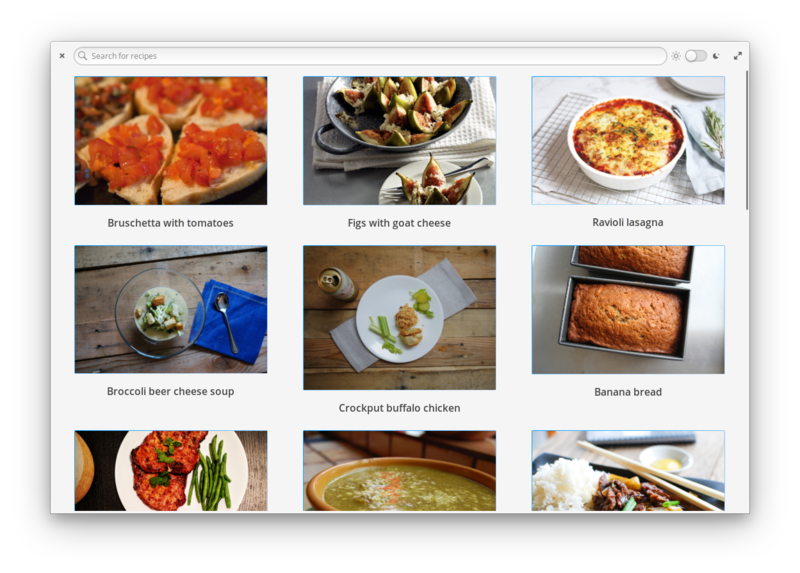 Every app is open source and has been reviewed and curated by elementary to ensure a native, privacy-respecting, and secure experience.